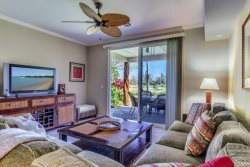 ResorticaHawaii.com offers vacation rentals in Mauna Lani, Mauna Kea, and Waikoloa Beach Resort, all along the Kohala Coast of the Big Island. 20 miles from the Kona Airport on the west coast of the Big Island, you will find your dream vacation waiting! The Kohala Coast offers some of Hawaii’s most beautiful beaches, premier golf courses, authentic Hawaiian entertainment, and amazing dining. Our guests are never at a loss for things to do on their vacation - with an array of local activities and attractions. Explore the area with the map below and start planning your Hawaiian getaway with ResorticaHawaii.com. No matter how you are traveling to the Big Island and your vacation rental there are plenty of options to get around. By land, sea and sky there are plenty or car rental options as well as domestic and international flights. Contact our office for additional information about planning your transportation.